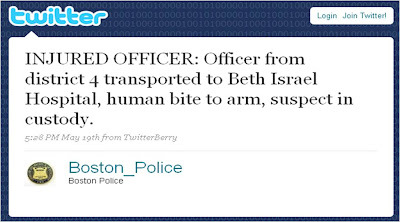 Boston Police on Twitter - and they respond to zombie questions! 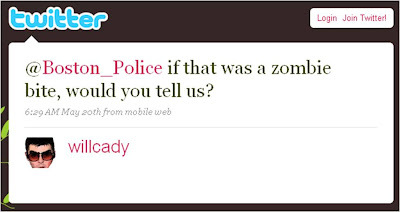 Twitter was founded on the principles of two way conversation. Whilst many users are now using it to broadcast, it is always interesting to see people responding, especially large organisations and government bodies.